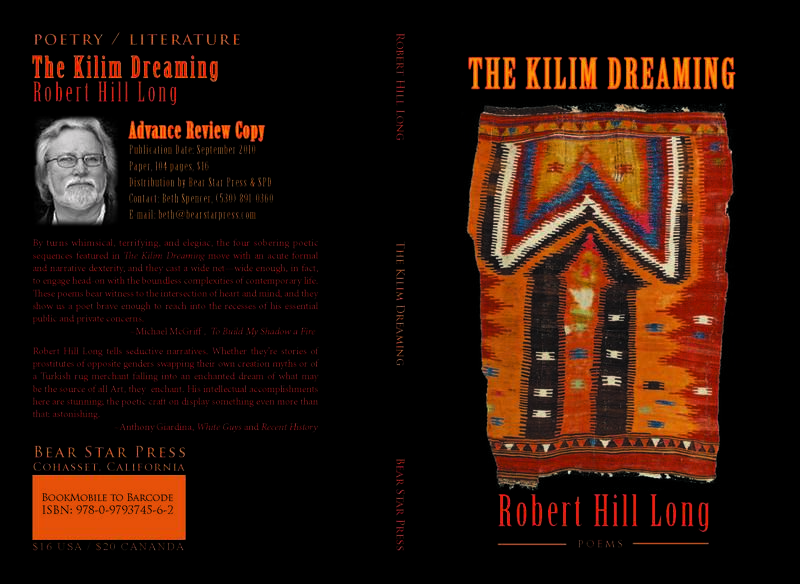 The Kilim Dreaming originally included “The Wire Garden,” a sequence about my father’s last days juxtaposed with with the events of a summer when I was 15 and he was 46. Beth Spencer and the other Bear Star editors decided they preferred “An Indefinite Sentence of Exile in Florence, Massachusetts,” and I concurred. But I had also been looking forward to presenting my mother with a book containing “The Wire Garden,” since at 88 her reading days are numbered (as she’d be first to admit). My timely solution was to create a book at Lulu.com that includes “The Wire Garden,” plus a number of other elegies for my father that were first published in Poetry, Seneca Review, Diagram, Del Sol Review, Whiskey Island, Cream City Review, and the Duke Medical Center health Arts Network. It’s a handsome cloth book of 40 pages, and retails for $21. You may order it directly from Lulu.com, but if you’d like a signed/inscribed copy, contact me here or at rohilong[at]gmail[dot]com. 2 in 2River View: “Good Friday” about a daughter refusing to draw her father (and the consequences); “The Swimmer” about my old friendenemy depression.